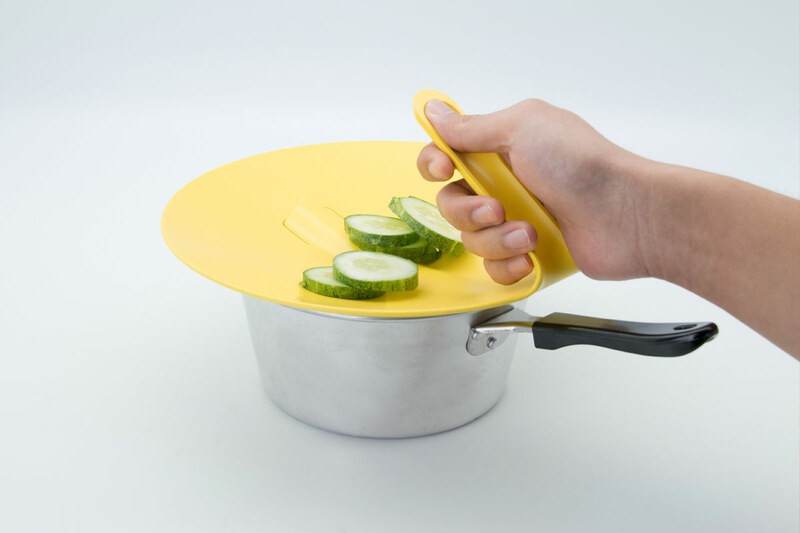 We talk to Kevin Chiam, the founder of Folks Kitchenware, about the inspiration behind his collection of kitchen tools that enables the blind to prepare food safely and with confidence. How did the idea of Folks Kitchenware come about? Folks Kitchenware was seeded from the conversations I had with my visually impaired (VI) friends who I met while volunteering at the Singapore Association for the Visually Handicapped in 2016. It was rather common to see scabs and scars on the hands of the VI and as it turned out, these scars were reminders of their unfortunate attempts at cooking. In fact, as I understood, preparing a simple meal is constantly a challenge for the VI, so much so that many are discouraged after receiving a cut or burn. Realising the trials my friends had to undergo, it prompted me to question if the existing landscape can indeed be revised to lower the learning curve. I was hence motivated to help them so that they can have the necessary confidence to overcome physical and mental barriers and eventually come to appreciate cooking as a joyful ritual. Believing that design should be simple, engaging and pleasurable, Kevin is encouraging conversation between people and the encompassing environment with his innovative products. How did you decide on using the name “folks” for your project? The title “folks” felt like an ideal fit with the project’s intentions – to empower the VI such that they can prepare meals with dignity, just like common folks. In addition, “folks” rides on a positive nuance and exudes a sense of familiarity which people can relate to. What was the research and design process of the collection like? The project is grounded by literature reviews on existing approaches and ethnography research. To better understand the users’ pain points, interviews and observations were done in the homes of the VI, which provided first-hand information that was used to map user experiences and highlight design opportunities. From the research done, I realised that the blind relies heavily on sensory references like touch to make spatial judgements, and the lack of such often results in accidentals. Thus, I came up with solutions that physicalise tactile guides for which they can use to reference the next step in the cooking process. User testing and evaluation were then done on a bi-weekly process to gain feedback for subsequent iterations. This helped to cover oversights that were missed out on during ideation. Can you tell us more about the kitchen tools featured in your current collection? These five tools – knife, chopping board, stove ring, pot lid and teaspoon – were not selected by chance. They represent the five most rudimentary tools that are used to prepare any meal, and they should be addressed in a way that allows the VI to prepare their own meals in the comfort of their own kitchen. Moving forward, there are intentions to scale the project by leveraging on each tool’s core approach to provide sensory information for the VI in other aspects of cooking. 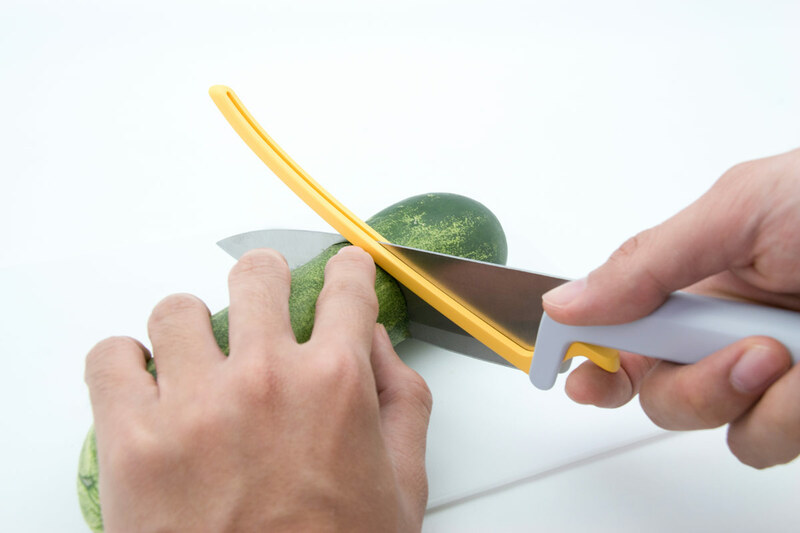 For example, the notion of a retractable guard, which is currently implemented on the kitchen knife, can be integrated into other cutting tools like a peeler. 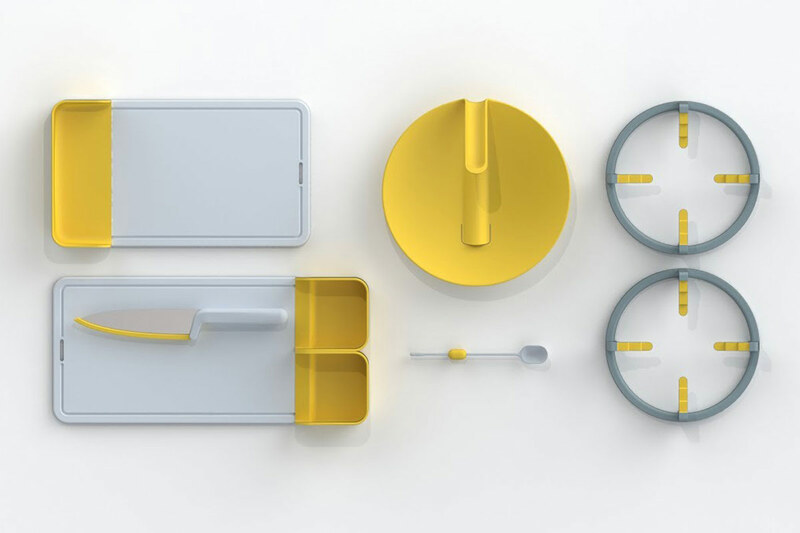 Reinventing the cooking experience, Folks Kitchenware is a system of kitchen utensils that are designed to aid the blind by leveraging on sensory feedback and haptic cues. What do you hope the blind community can achieve through your project? It is my humble wish for Folks to be a platform that empowers the VI so that they can independently prepare meals safely with convenience, confidence and dignity. More importantly, I hope that the VI can embrace their condition and recognize the fact that they can lead an enriched life even without vision as there are always tools available to lend a hand. The pot lid’s curved top provides a convenient nesting spot for kitchen tools, and its pronounced spout helps the user identify the steam outlet with ease, avoiding risks of burns and scalds. What’s next in the pipeline for Folks Kitchenware? I am currently working with Aaron Yeoh, Director of Fortitude Culina– a social enterprise which discovered the passion VI community has for cooking and is determined to provide them with an avenue to learn it – to apply for local enterprise grants to fund the production. Talks with manufacturing firms are on the way and Folks requires an estimate of US$39,000 for the tooling cost and the production of the first 1,000 sets.